Fujifilm’s X100 has been very popular with photographers wanting a relatively small and light fix-lens camera, and has gone through several iterations and improvements culminating in the latest X100T. 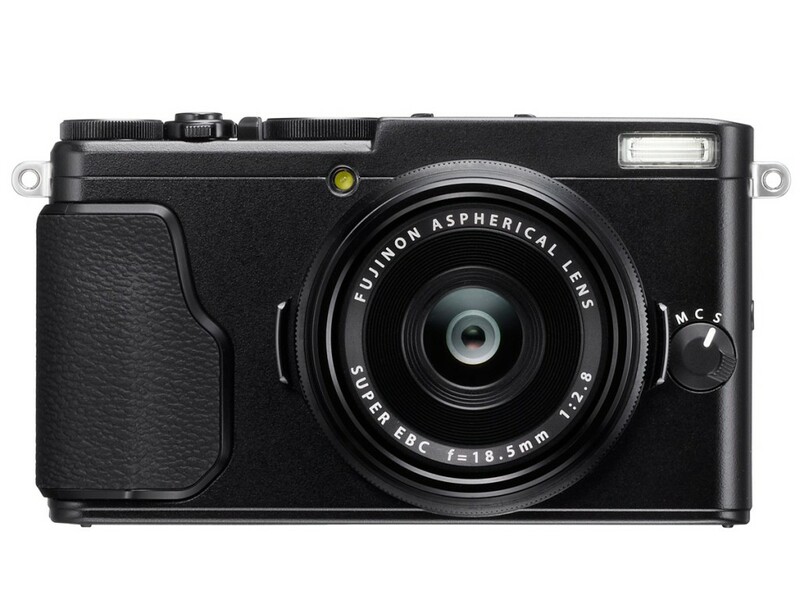 Today, Fujifilm has released a smaller and wider version of the X100—the X70. The X70 has a fixed 18.5mm (28mm equivalent), f/2.8 lens and the tried-and-tested (but old) X-Trans II CMOS sensor with a resolution of 16MP. Unlike the X100 series, there is no longer a hybrid viewfinder. In fact, there isn’t a viewfinder. Instead, there is a tilt and swivel screen like the one found on the X-T1 and X-T10, but with touch input. The AF system features 49 AF points in single-point mode, and 77 points in wide/tracking mode. A fully electronic shutter lets you shoot silently up to 1/32,000s. Maximum ISO is 51,200. It will be available in silver, black and a mixed black/silver combination for US$700 in February. 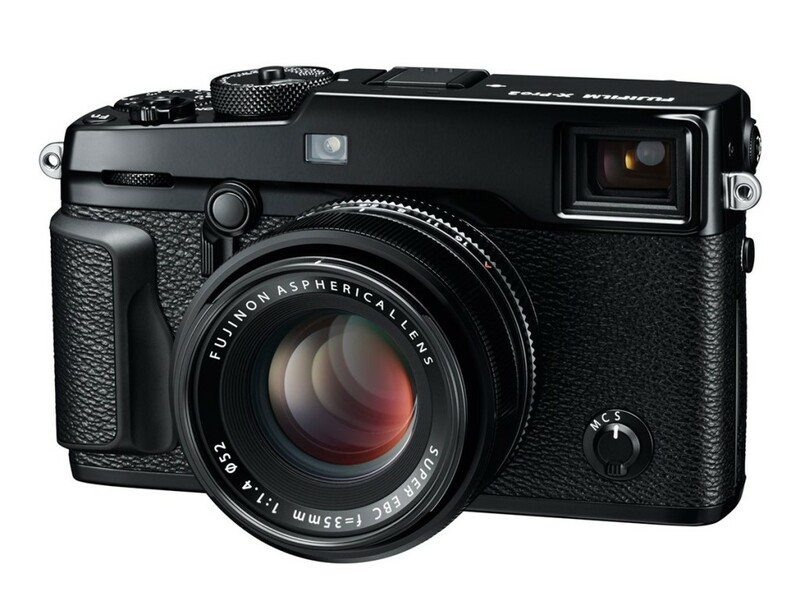 Fujifilm announced the Fujifilm X-E2S today, a “S” upgrade to the X-E2 released in Oct 2013. 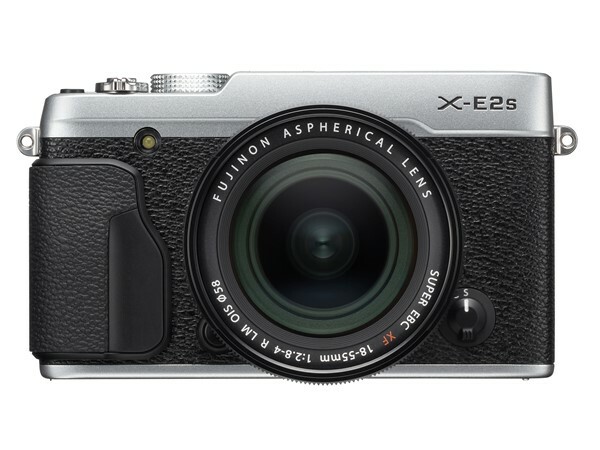 Just like the “S”-series iPhones, the X-E2S adds some improvements to the X-E2, most notable of which is an improved hybrid AF system similar to the X-T10. It adds 77-point zone and wide/tracking modes along with the 49 points that’s already in the X-E2. AF speed is also slightly improved from the 0.08s on the older X-E2 to 0.06s on the X-E2S. The X-E2S also adds an electronic shutter, allowing for shutter speeds of up to 1/32,000s. This lets you shoot in complete silence, though the rolling shutter effects might crop up under certain shooting conditions. Unfortunately the sensor is still the older X-Trans II CMOS sensor with 16MP instead of the 24MP X-Trans III one found on the X-Pro 2. The X-E2S will be available for US$699 (body alone) or US$999 with the excellent 18-55mm f/2.8-4 kit lens. 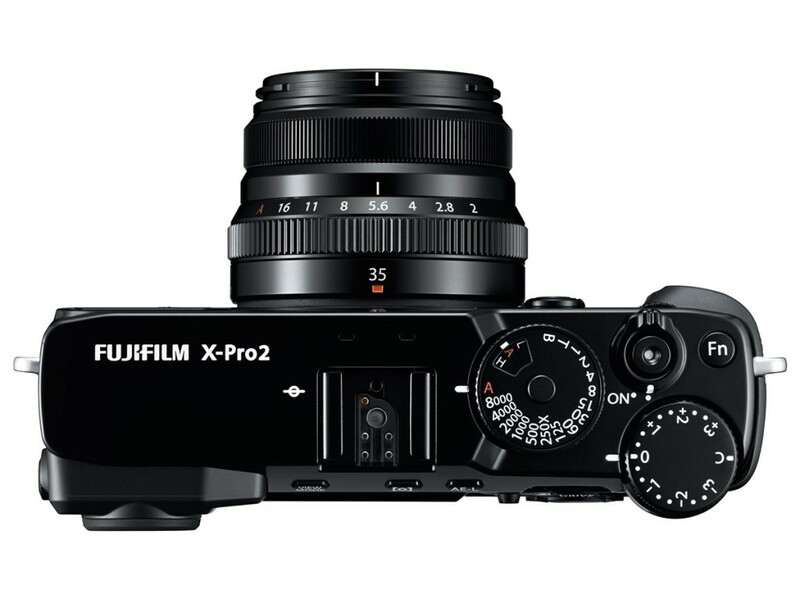 Fujifilm today announced the X-Pro 2, the highly anticipated and rumoured successor to the X-Pro 1 released in 2012. It was the first Fujifilm X camera to feature interchangeable lenses and is very popular with photographers looking for a high-quality, rangefinder-style mirrorless camera with interchangeable lenses. The 16MP X-Trans II CMOS sensor used in the X-Pro 2, and many Fujifilm cameras after that, is getting a bit long in the tooth by now. The X-Pro 2 finally brought a change to this with the new X-Trans III with 24.3 megapixels, bringing it more in line with the other 24MP APS-C sensors used in other cameras. The X-Pro 2 also features the X-Processor Pro Image Processor (what a mouthful) which Fuji says is 4x the speed of conventional image processors. Start up time of the X-Pro 2 is just 0.4s, and the continuous shooting speed is up to 8fps. Shutter lag is a low 0.05s and AF speed a mere 0.06s. 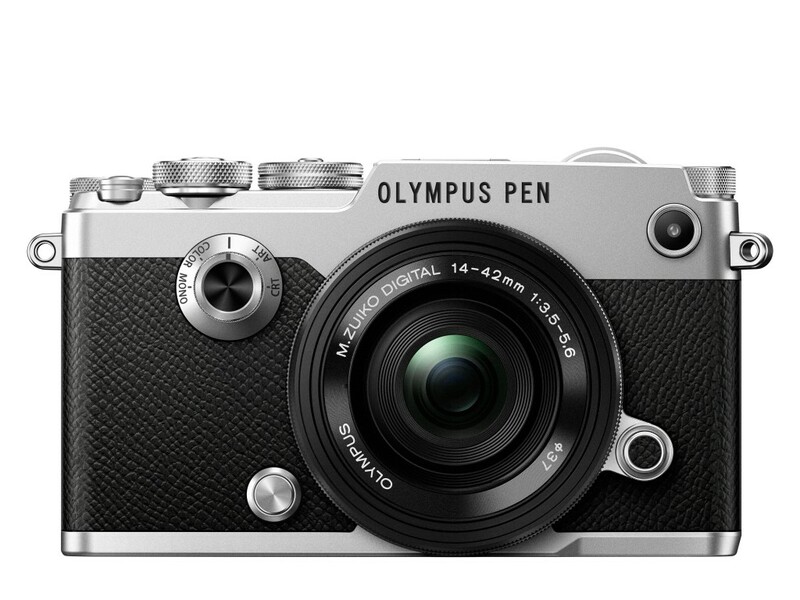 This is a huge improvement over the original X-Pro 1! The AF sensor has 273 AF points, out of which 77 are phase detect. These sensors cover 40% of the frame and the X-Pro 2 currently has the best AF performance among all the X-Series cameras. Like the X-T1, the X-Pro 2’s body is weather-sealed, making it dust, splash and temperature proof down to 14ºF / -10ºC. The top of the camera features a combined shutter-speed/ISO dial reminiscent of the Nikon FM series—you pull up the outer ring of the shutter dial to adjust your ISO. Unfortunately, while this looks retro and cool somewhat, in practical use, it makes adjusting ISO on the fly difficult. I already found the X-T1’s locked ISO dial to be mildly annoying. The hybrid viewfinder has been improved with a multi-magnification that switches its magnification depending on the lens that you are using. There’s also an electronic rangefinder which shows the EVF on top of the optical view. 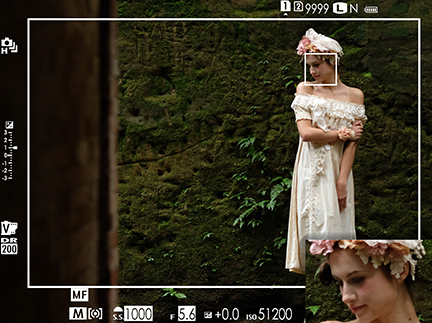 The EVF features 2.36M dots with frame rate of 85fps for smooth and detailed viewing. Like a true professional camera, the X-Pro 2 has dual SD slots—the first X-camera to have this. Other improvements include a new ACROS film simulation mode, max ISO of 12,800 and 1080p/60fps video recording. The top shutter speed is also increased to 1/8000 and the flash sync speed, 1/250s. The X-Pro 2 will be available for US$1700 (body only) from next month. Nikon today announced the new and highly anticipated D500, a pro-level DSLR with a crop sensor (DX) which shares quite a bit of features of the D5. It has a 20.9MP APS-C sensor as well as the new EXPEED 5 image processor found on the D5. 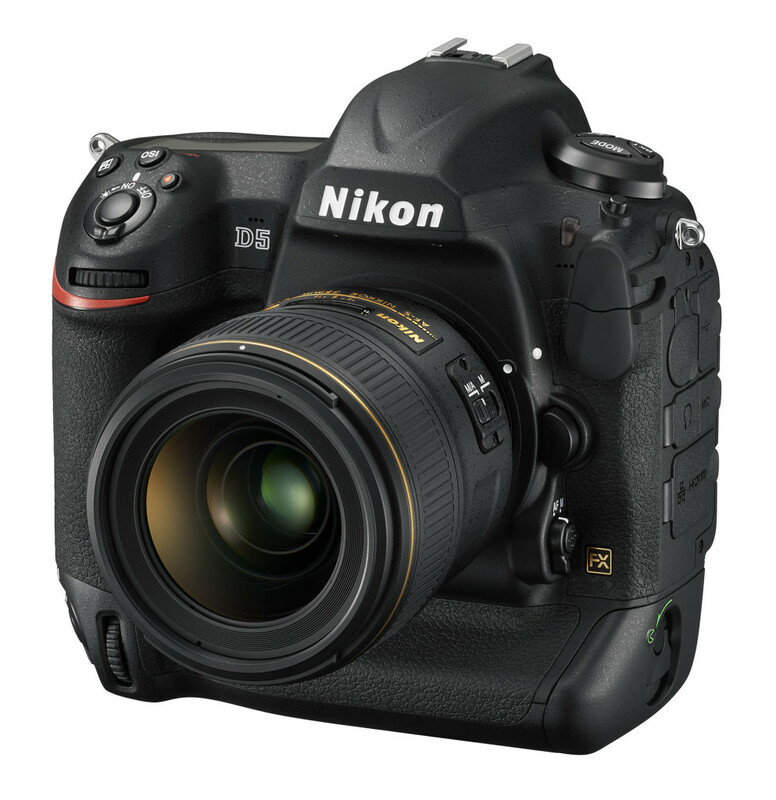 This is the long-awaited successor to the very popular D300S. ISO sensitivity, while not as high as the D5, is still an impressive 100 to 51,200. This can be expanded to 50—1,640,000. In terms of continuous shooting speed, the D500 can shoot at up to 10fps using the same 153-point AF system as the D5. On the D500, these AF points cover almost the whole of the frame. A large buffer allows for 79 14-bit raw files in burst mode. Nikon D500 (Rear), showing the 3.2″ tilt/swivel LCD touch screen. Being a pro-level camera, it has a rugged weather sealed body like the D810, and features a magnesium-alloy top/rear and a carbon-fibre reinforced front. At the back of the camera is a 3.2″ tilt/swivel touch-screen LCD with 2.4 million dots, similar to the one found on the D750, The viewfinder has a 100% coverage with a magnification of 1.0x, giving a bright and big view. Storage duties are performed by a XQD slot and a regular SD slot. On the video side of things, the D500 can shoot 4K/30p and 1080p at various frame rates. 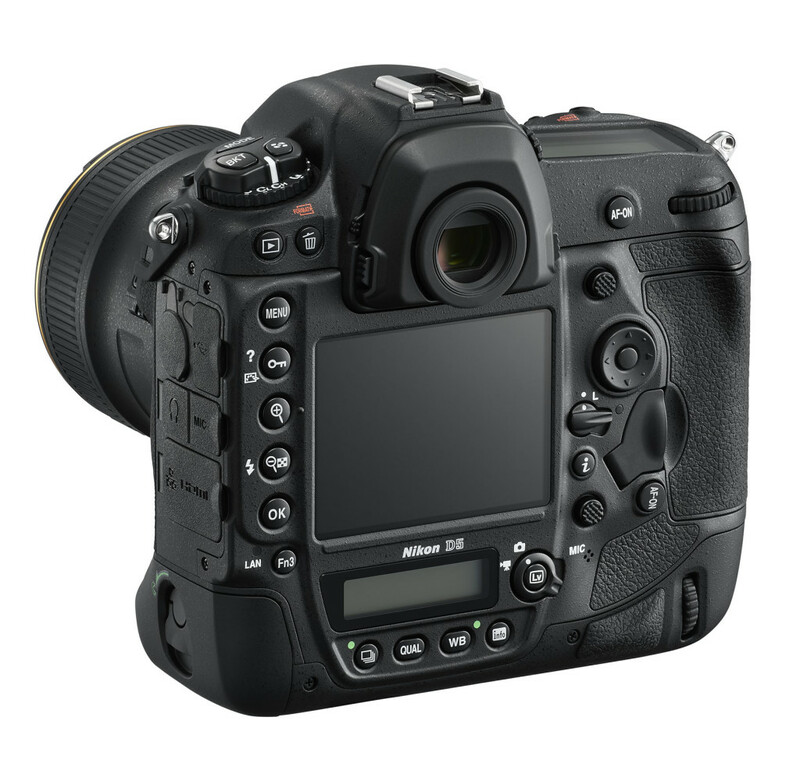 Like the D810, it features Picture Controls and an uncompressed HDMI output. New to the D500 are in-camera 4K time-lapse, Auto-ISO smoothing and the ability to send 4K video to the card and HDMI outputs simultaneously. 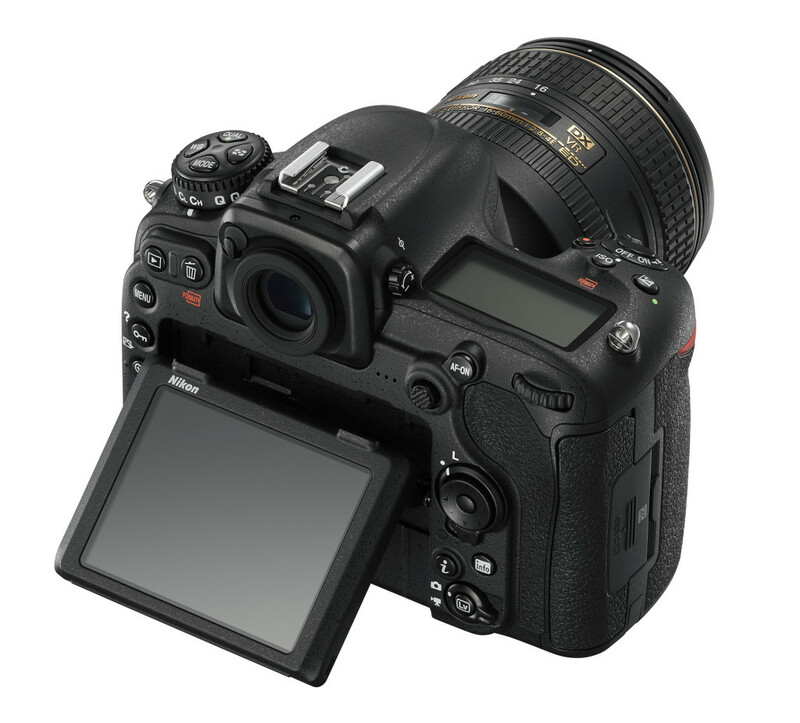 The D500 also features SnapBridge, a new technology developed by Nikon which lets you establish an always-on Bluetooth connection between the D500 and a smart device. This allows you to do automatic image transfers between devices and is addition to the more common WiFi and NFC options which are also available on the camera. 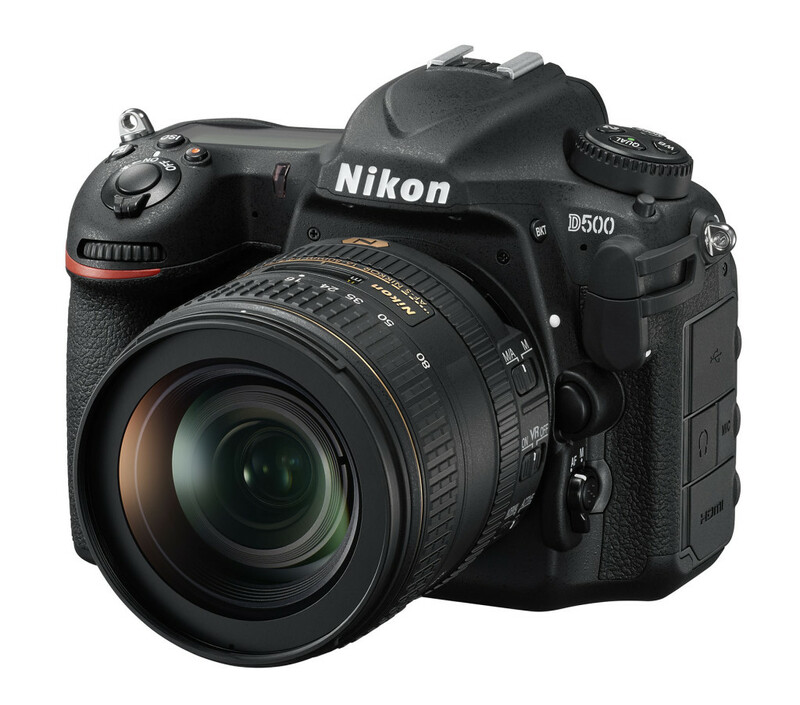 The D500 will be available in March 2016 with a SRP of US$2,000. There’s also an option to purchase it with the AF-S 16-80mm f/3.5-5.6ED VR lens for US$3,070. CK: Wow, this sure took Nikon a long time! When I was looking to upgrade my D200 many years ago, I didn’t have that much options. The D300/300S was getting a bit long in the tooth, making the D7000 more attractive as an upgrade. Of course, the D7000 isn’t a pro-level camera, and didn’t handle as nicely as the D200, but it’s decent enough. Many photographers have also yearned for a D300-type successor but none was coming. Nikon has basically ignored the pro DX shooters for a long time. We probably got to thank Canon for coming up with the EOS 7D Mark II which kicked Nikon in the you-know-where. Too late however, at least for me. Many photographers, myself included, have moved on to APS-C mirrorless cameras. That said, this still looks like a very impressive camera to be had. Nikon announced the D5, a new flagship DSLR today, featuring a new AF system, 4K video recording, and an expanded ISO range of up to 3,280,000. Yes, you read that right. You can shoot at an ISO of 3.28 million. Though that’s an expanded ISO rating, the native ISO is still an impressive 102,400. In comparison, the previous flagship, the D4S, only had a native ISO of just 409,600. The D5 features a 20MP full-frame CMOS sensor which can shoot stills at up to 12fps (14 with the mirror locked up) and video at 4K 30fps. The image processor is a new Expeed 5. The new AF system makes use of 153 AF points, of which 99 are the cross-type. A 3.2″ LCD with 2.36 million dots serves as the display, while the viewfinder covers 100% with a magnification of 0.72x. Connectivity-wise, the camera has a 1000 Base-T 400Mbps Ethernet connection for fast image transfers. Nikon said this is up to 1.5x faster than the D4S. The D5 will be available with two storage options—a dual CF model as well as a dual XQD one. The latter gives the photographer read/write speeds of up to 35% faster than CF cards. The D5 will be available from March at a SRP of US$6,500.